The best invention since sliced bread! 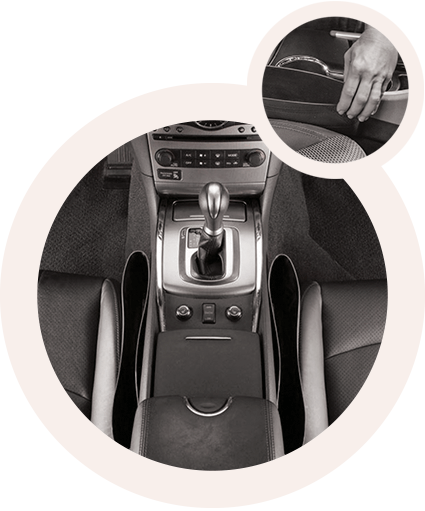 Sofabulous ™ Car Edition is perfect to avoid having your hands busy while driving. Made of resistant materials, with smart design, easy to place, fast to remove, safe to clean… A joy to use! This is how car pockets should have always been. It’s very easy to install: Simply place it on the sofa arm and it’ll be ready for a movie session! Introducing the greatest invention since sliced bread! The Sofabulous ™ Portable Shelf is perfect as a side shelf for the sofa, the bed, or even the wall. Additionally, it can be used as a stand for e-book readers and tablets. Made of sturdy materials and with an intelligent design, it’s adaptable, easy to position, quick to take down, etc. A joy to use! 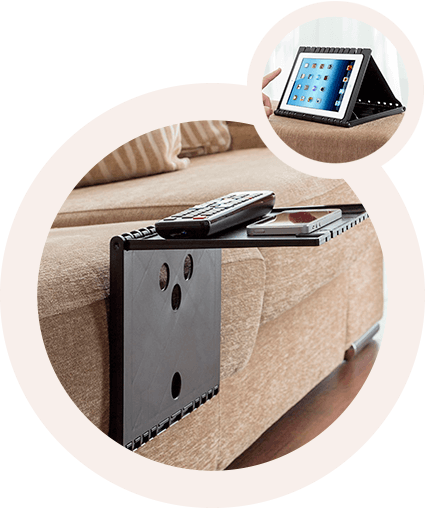 With Sofabulous ™ you won’t lose the remote in the sofa gaps again. 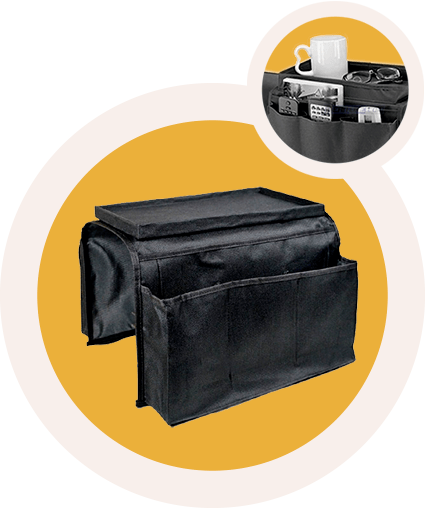 Thanks to its firm surface you can hold your drinks and snacks with total safety while you watch the telly. In addition, Sofabulous® includes a pocket for magazines. Pockets: 6 / Size: 31 X 56cm / Weight: 225gm. Soft & Pocket is the perfect invention to cover your armchair and provide it with an extraordinary comfort! 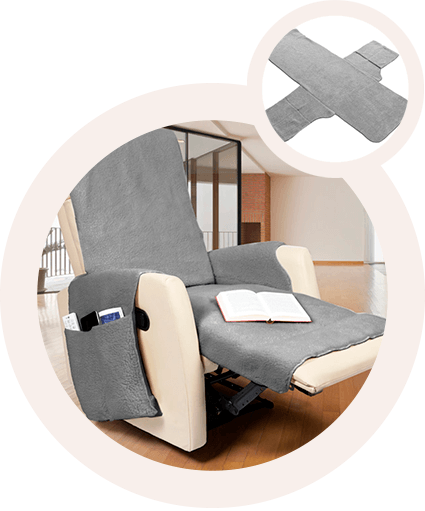 It has been designed with the ideal shape to get easily adapted to the armchair; besides, it is easy to place and remove. Its soft fabric and its strategically placed pockets make of Soft & Pocket the key accessory for your armchair.